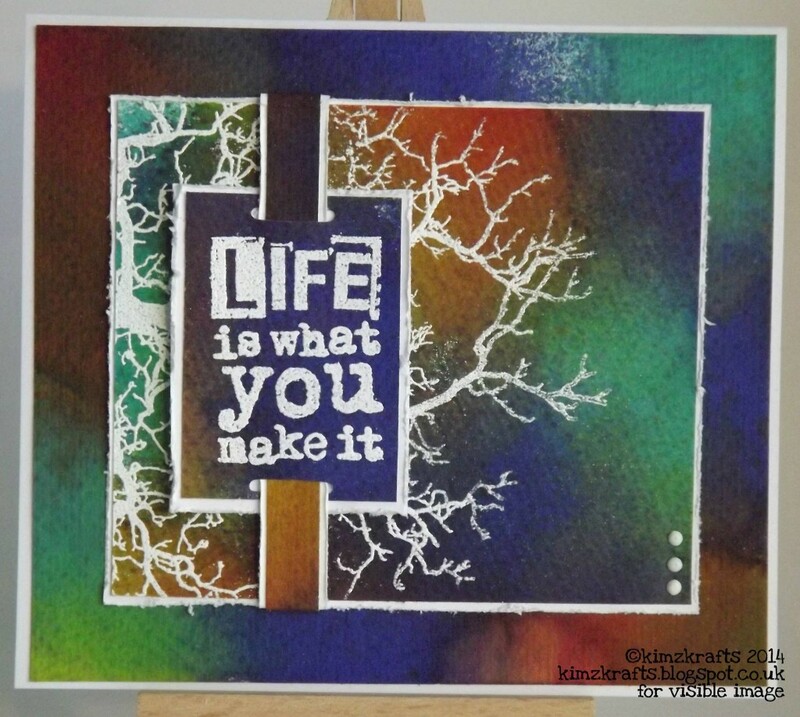 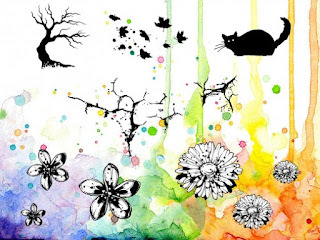 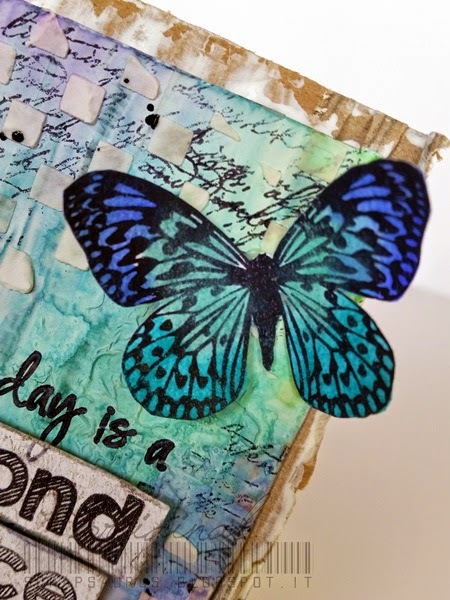 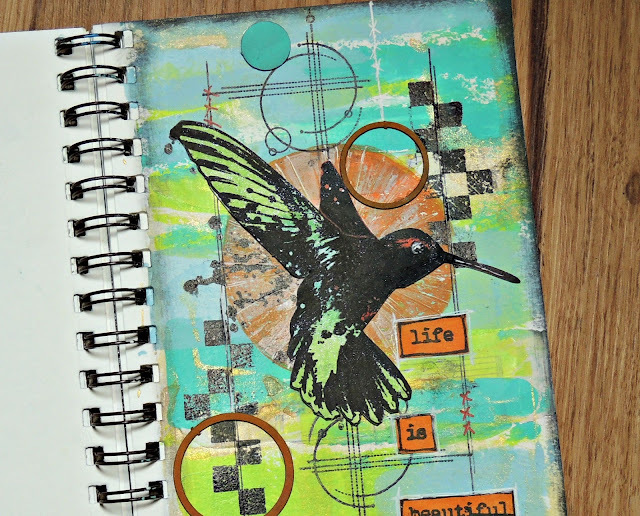 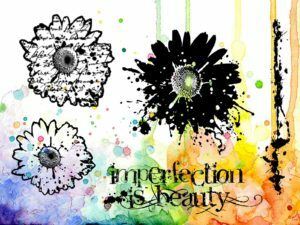 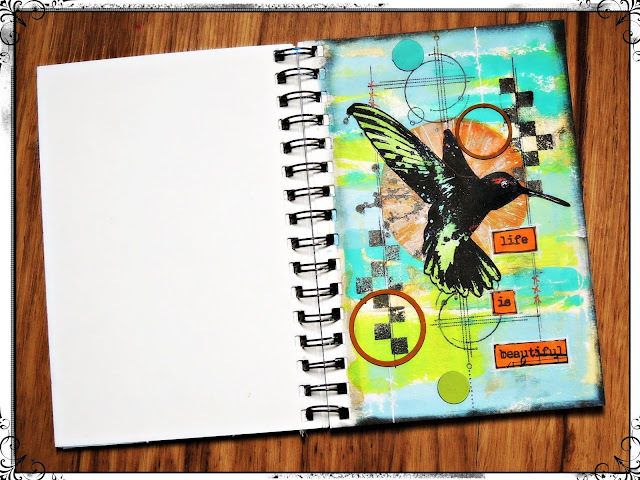 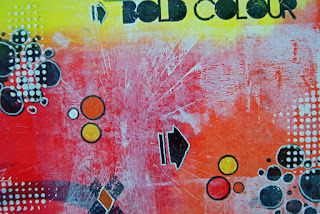 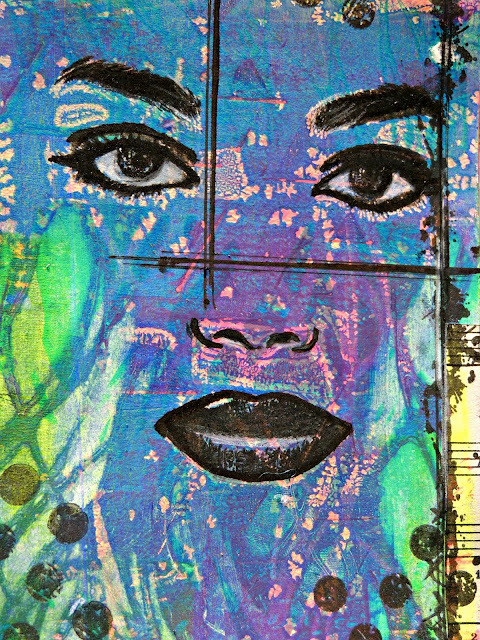 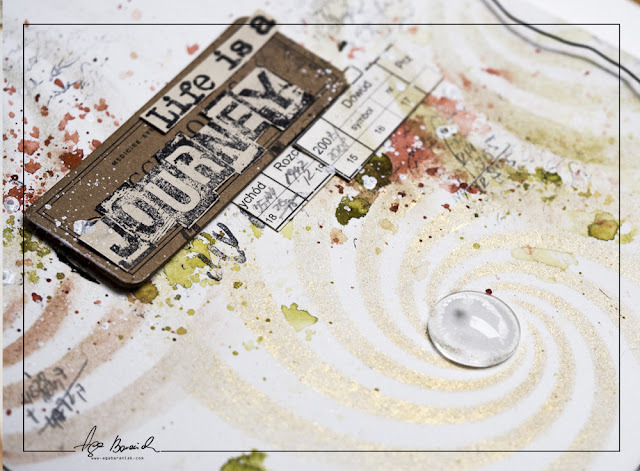 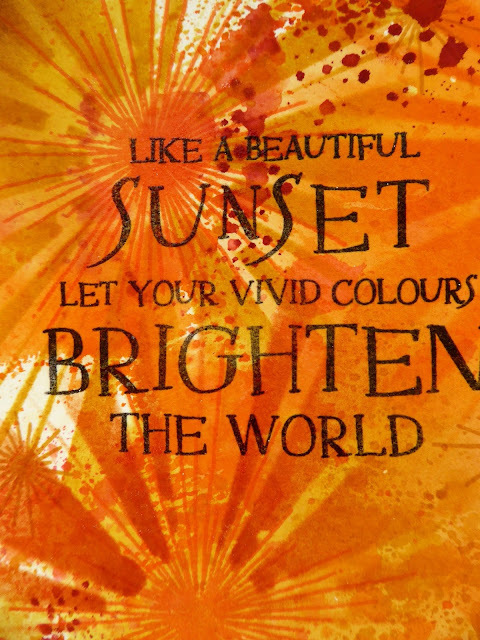 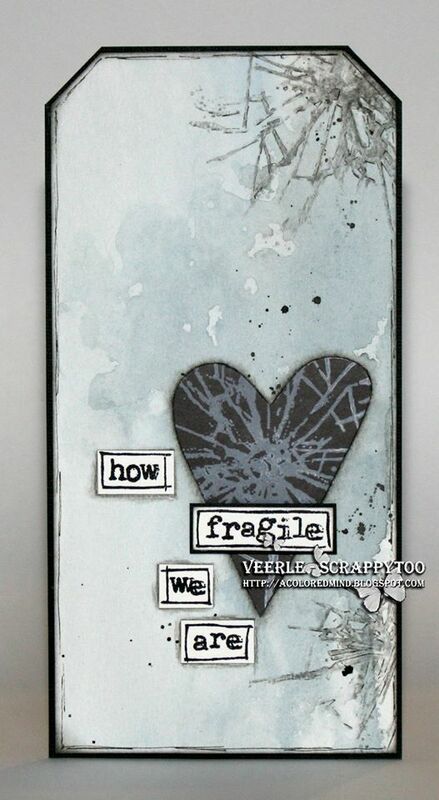 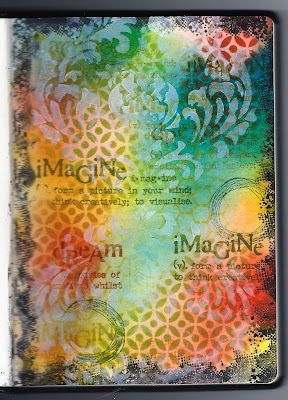 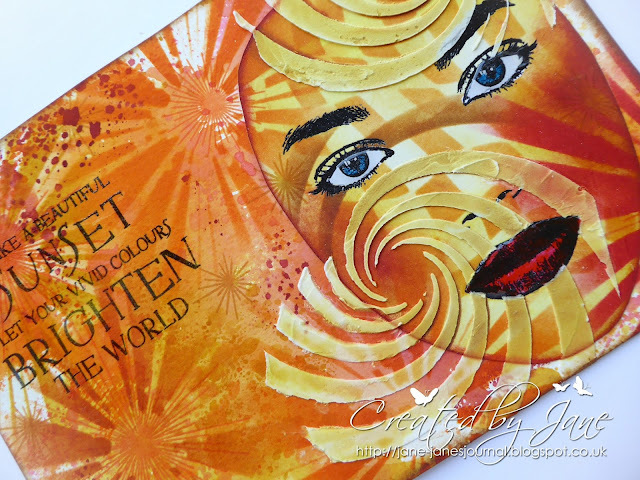 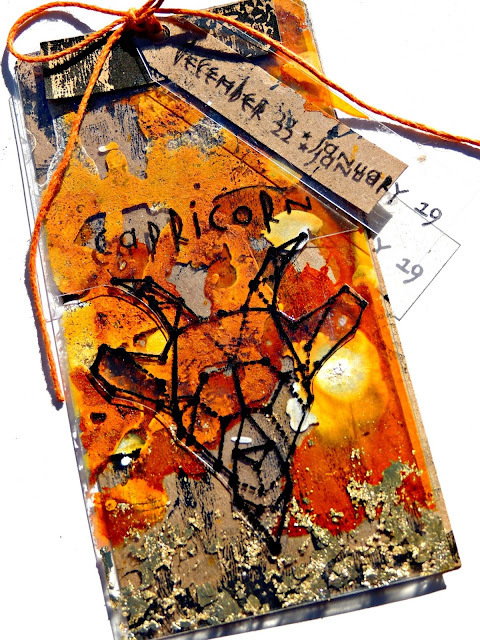 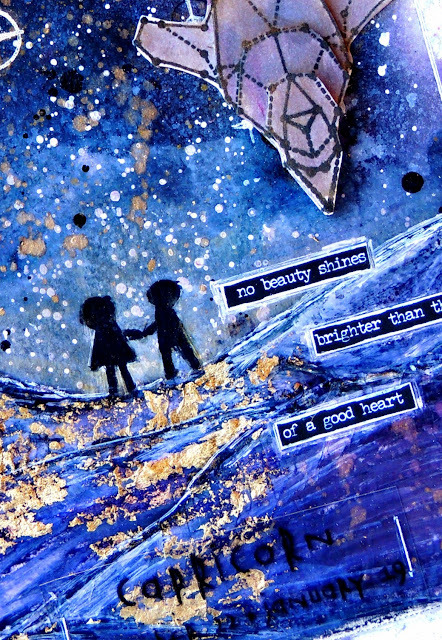 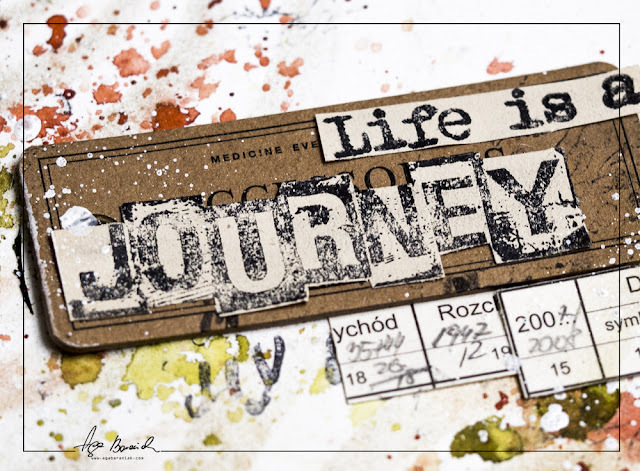 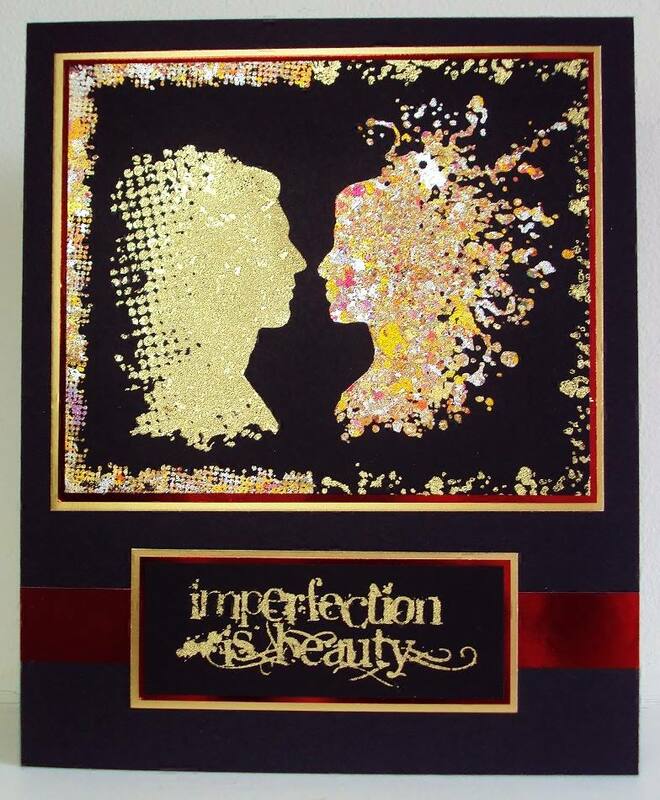 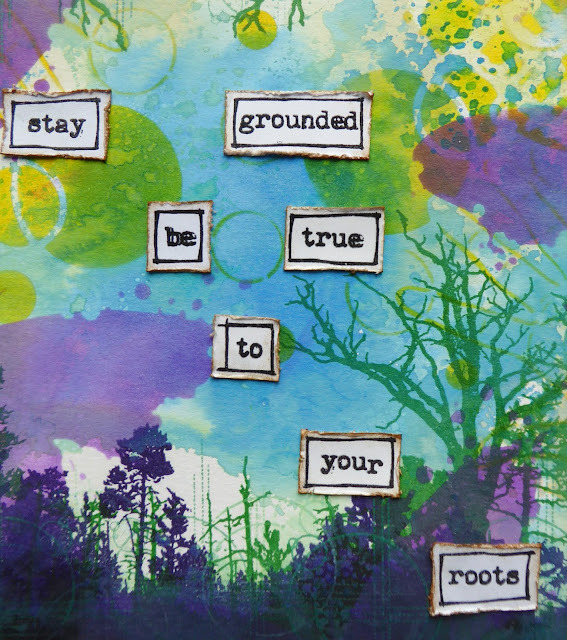 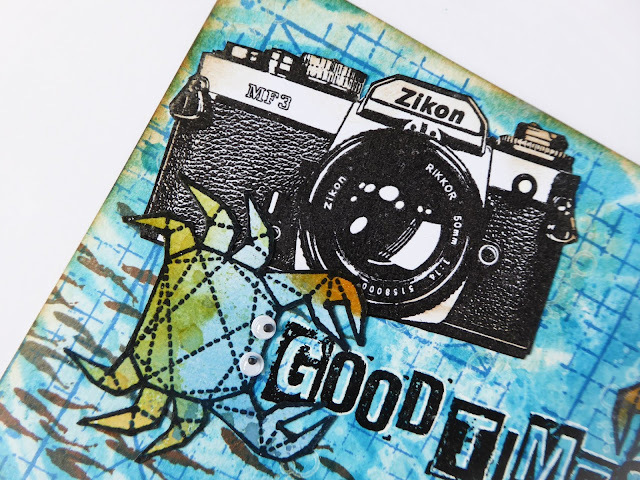 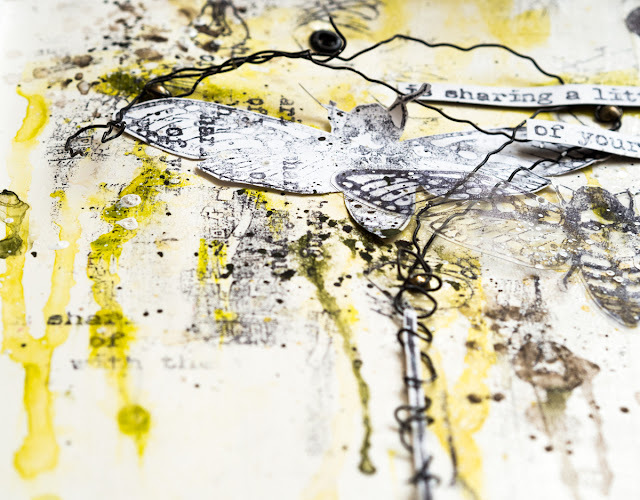 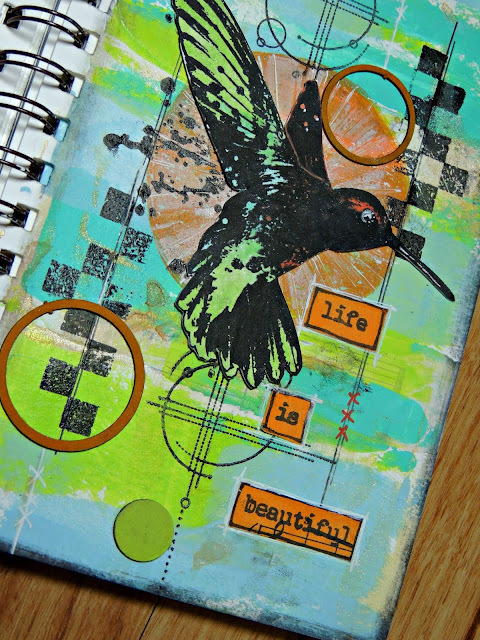 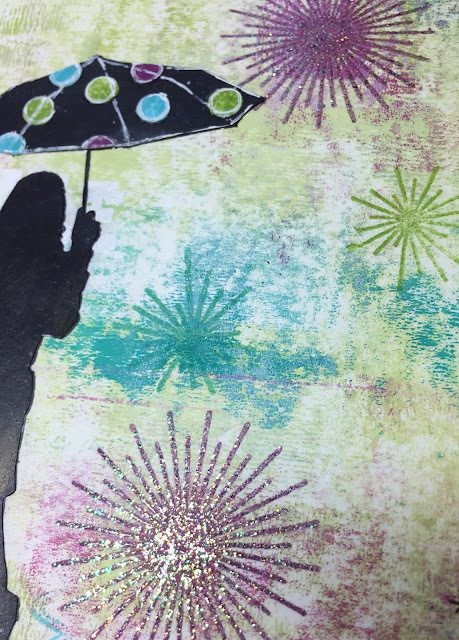 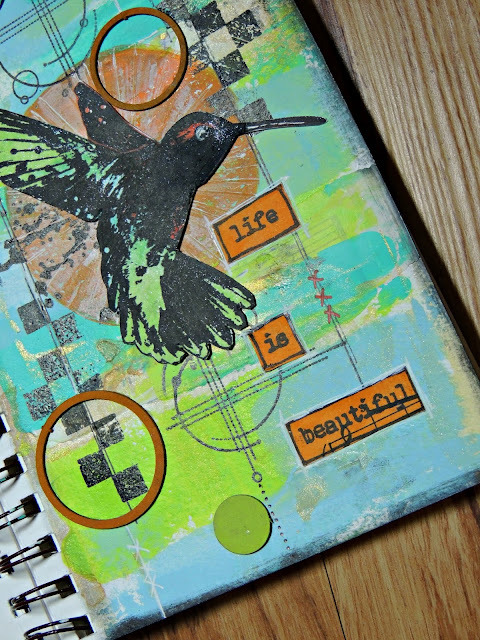 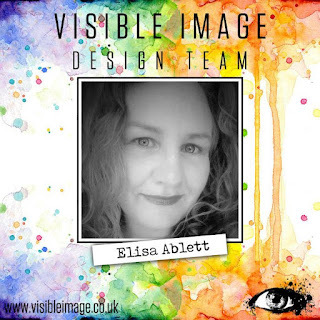 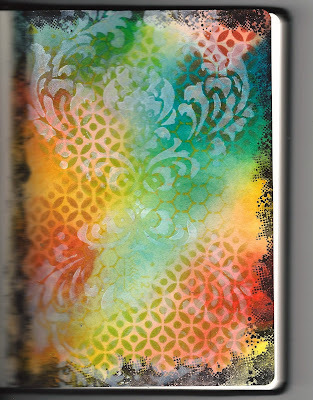 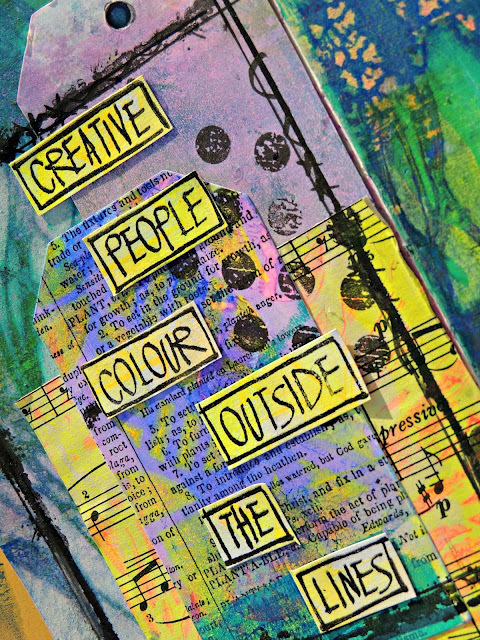 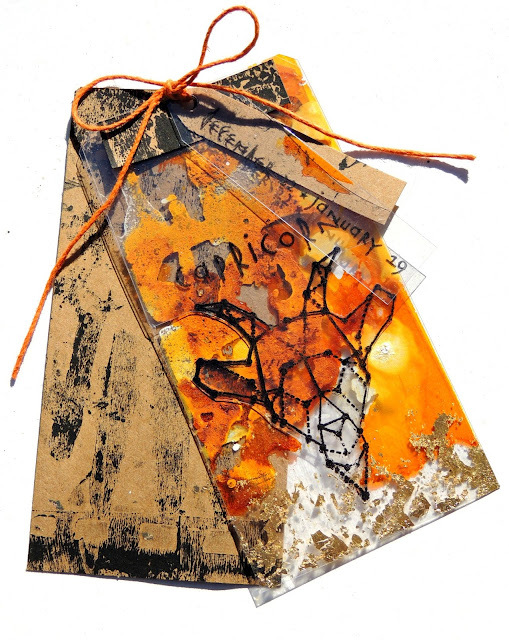 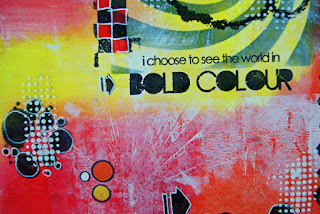 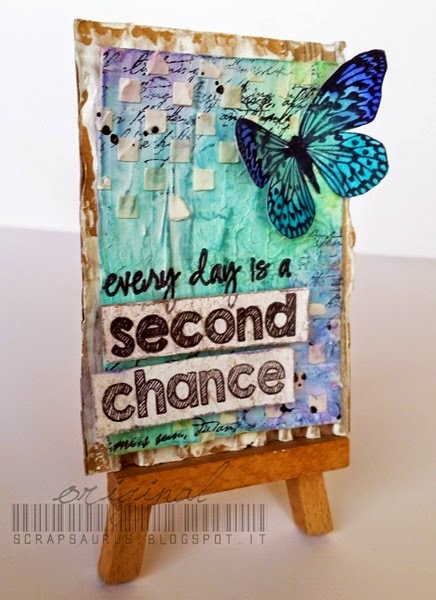 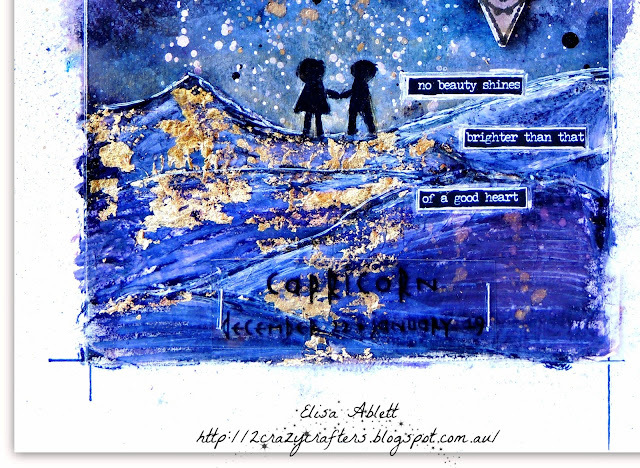 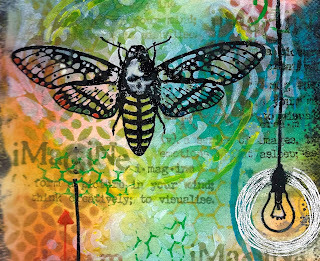 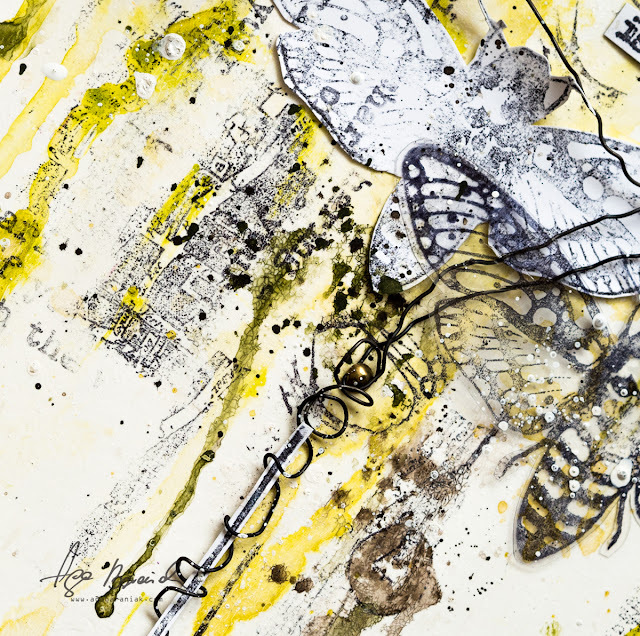 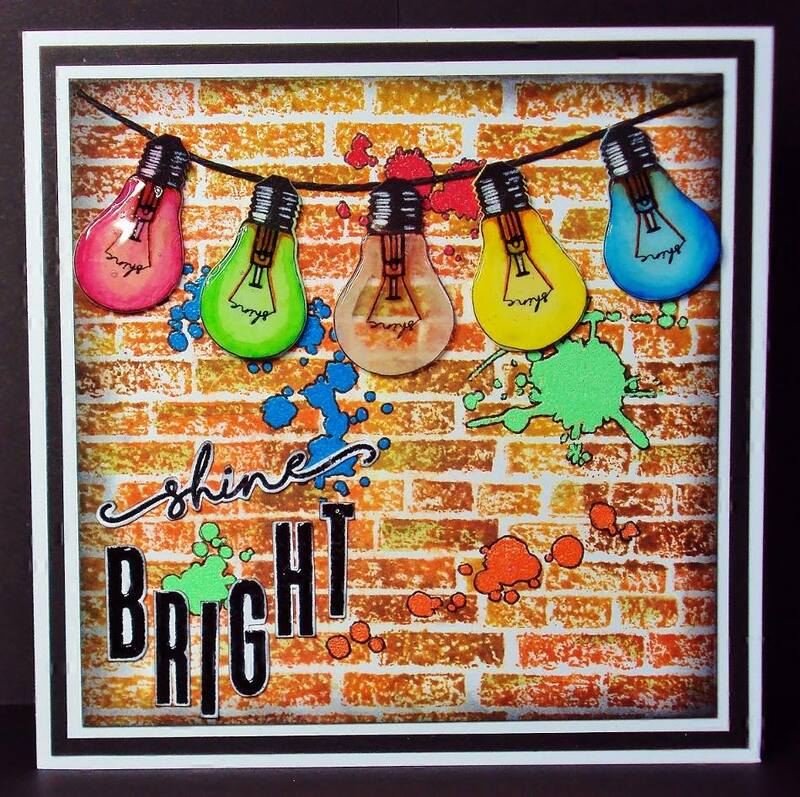 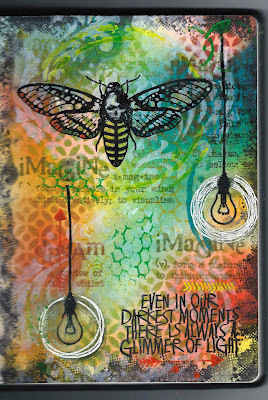 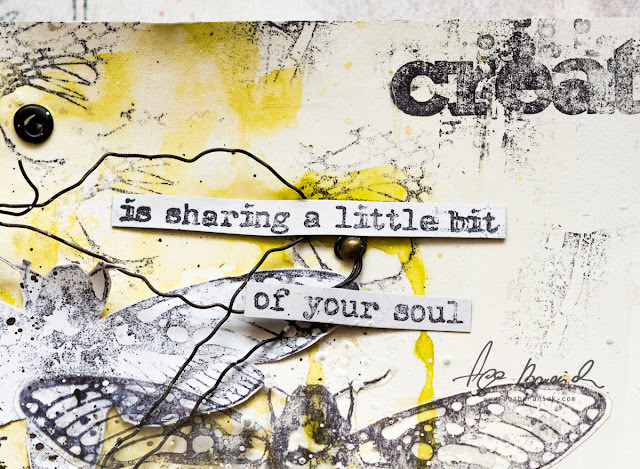 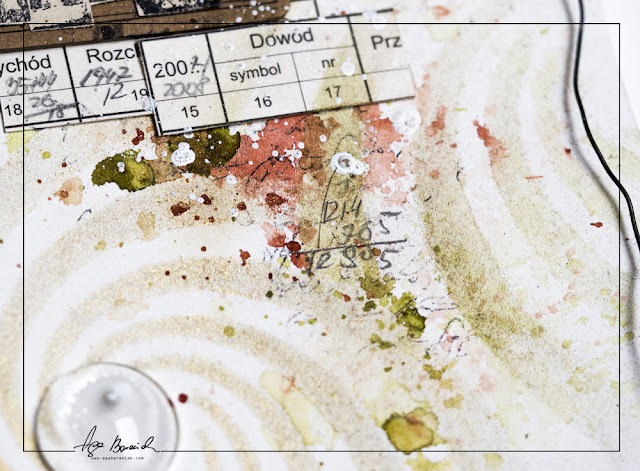 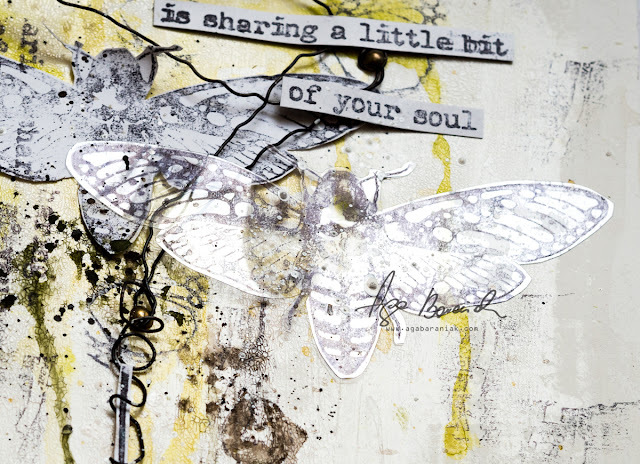 Elisa here with my latest project, a mixed media art journal page featuring the NEW Life is Beautiful Stamp Set. 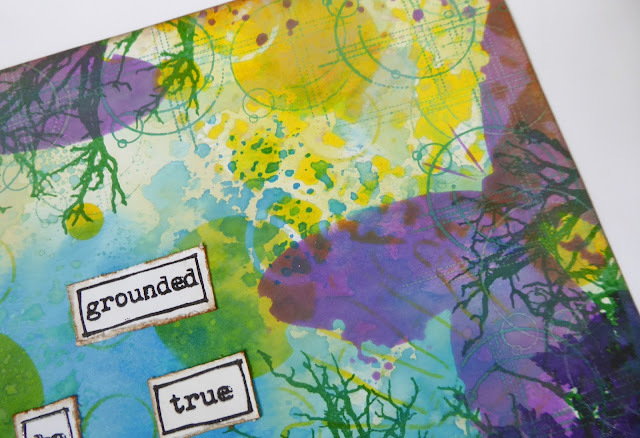 This gorgeous stamp set jumped out at me from the very start… A beautiful hummingbird, sentiment and geo circle design to create backgrounds with. 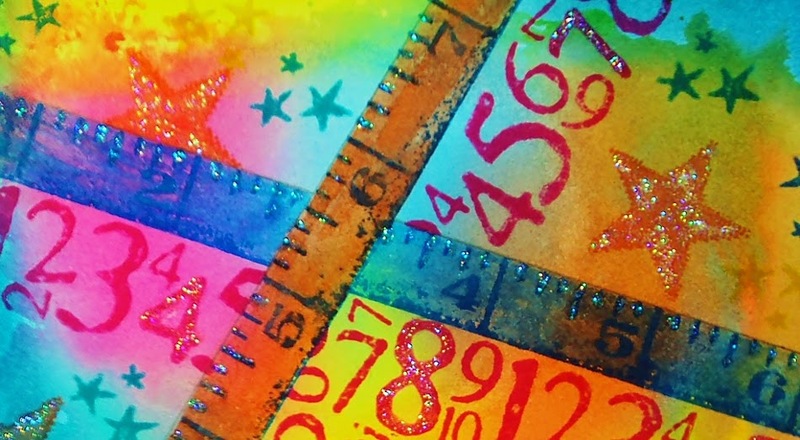 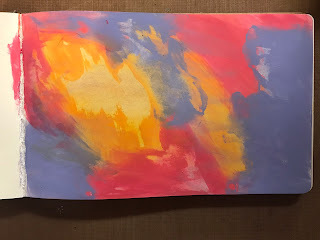 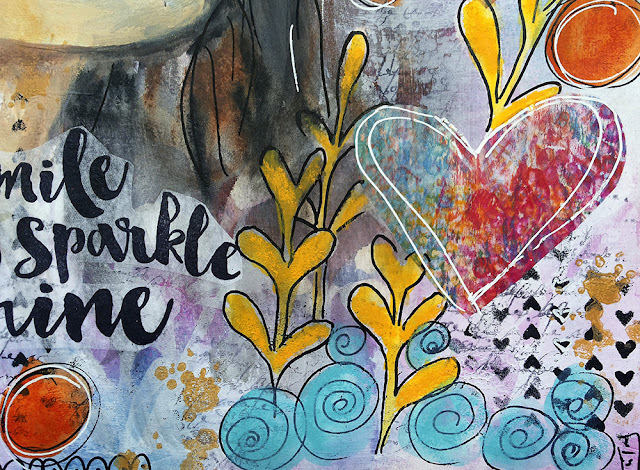 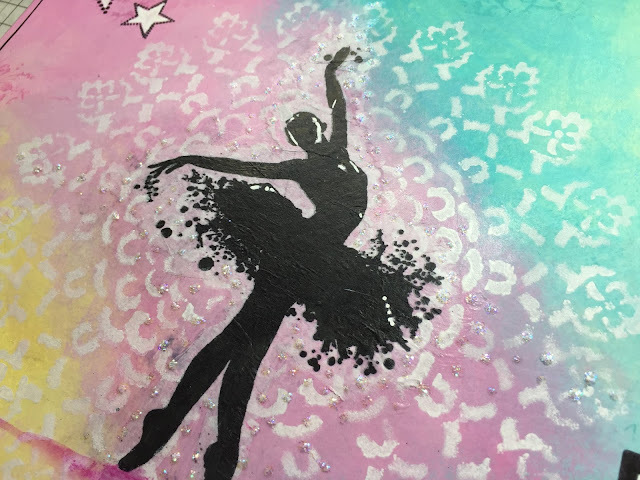 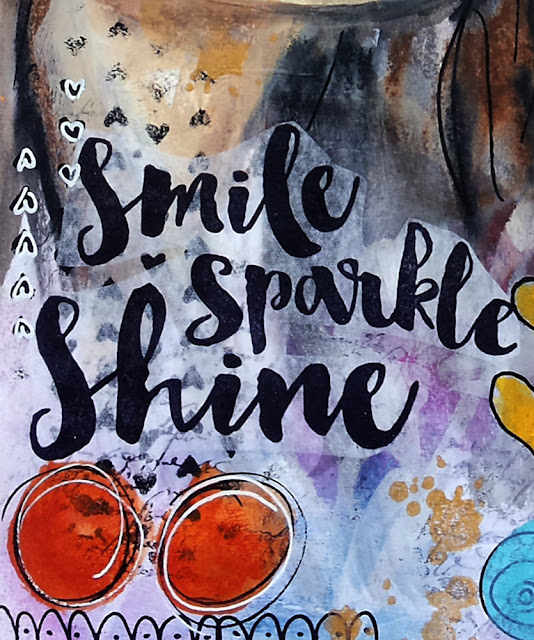 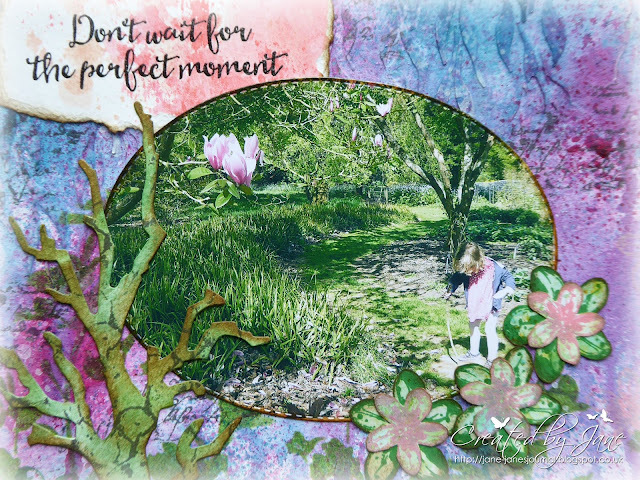 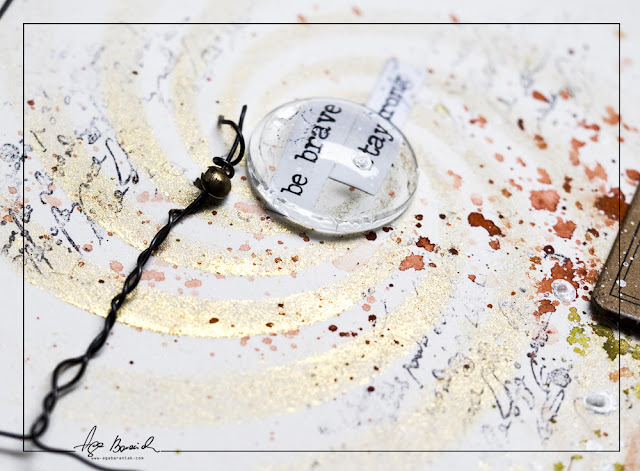 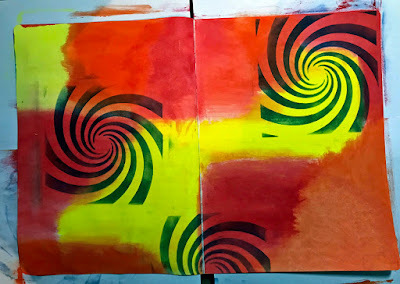 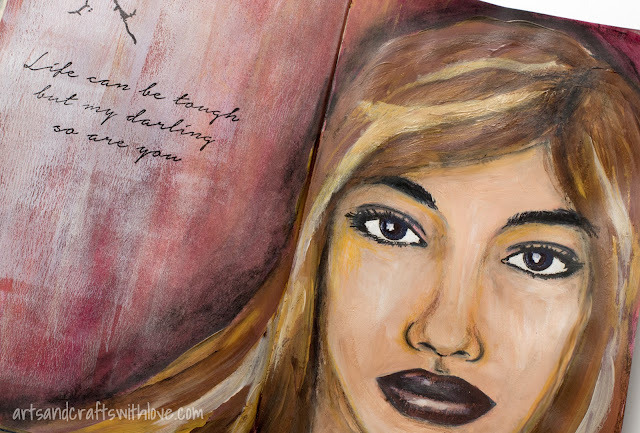 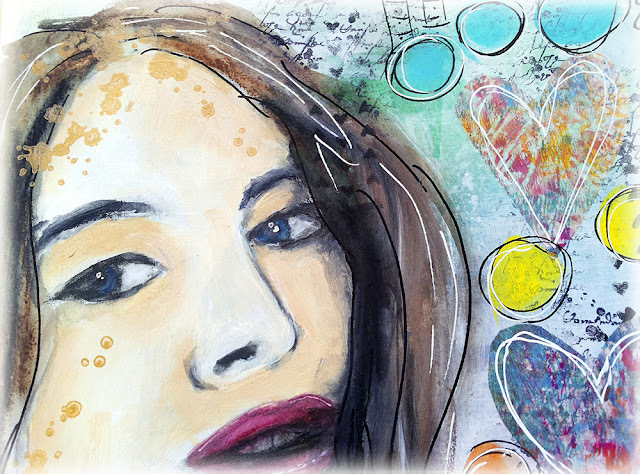 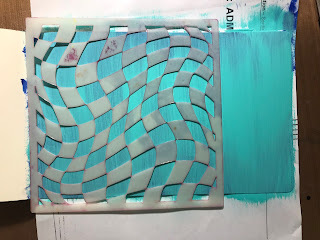 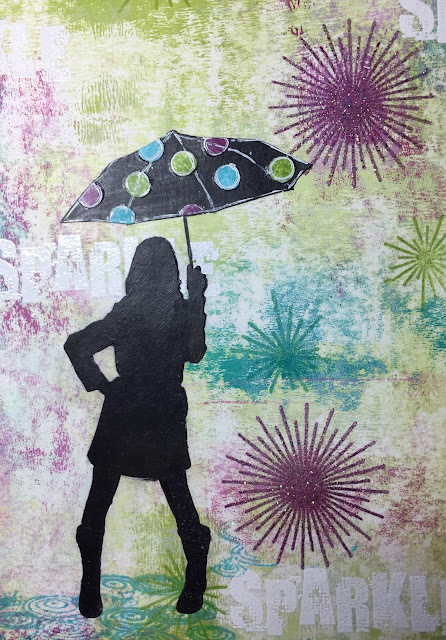 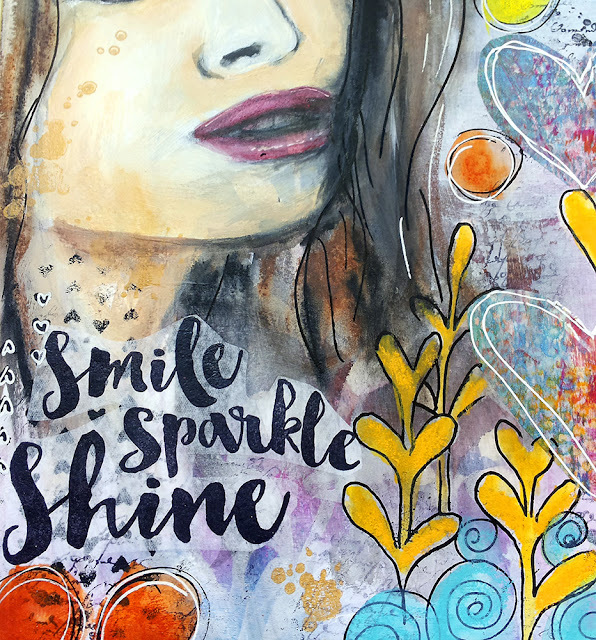 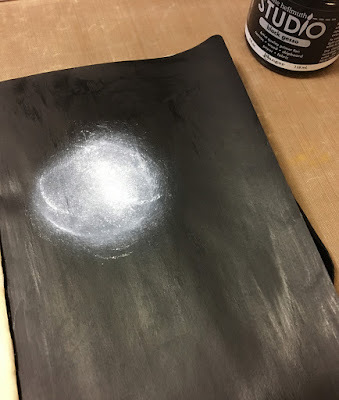 To create my art journal page I painted the background with Dina Wakely paints, I also used my small mini circle gel plate to create a focal point. 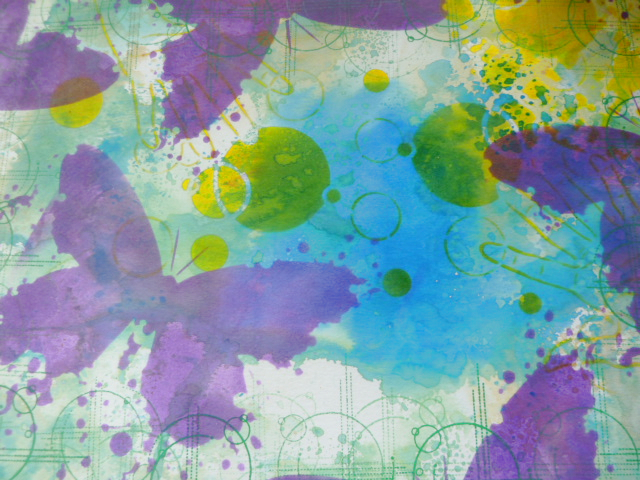 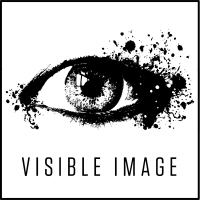 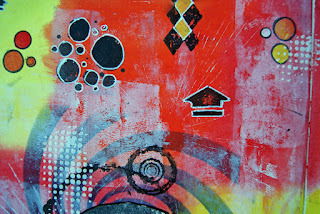 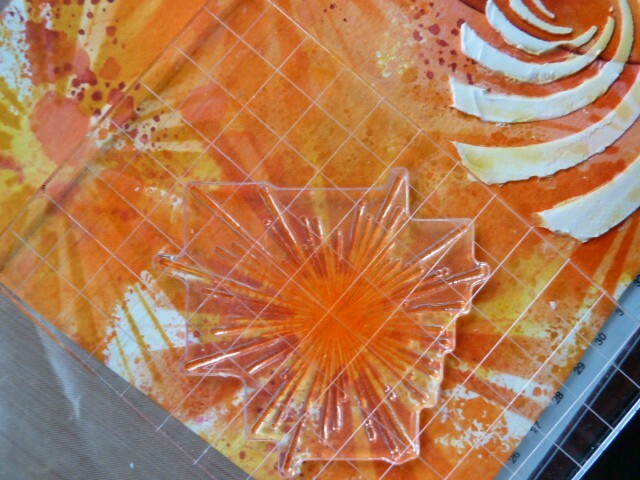 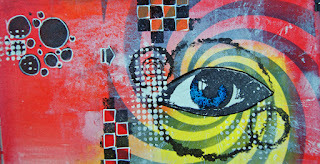 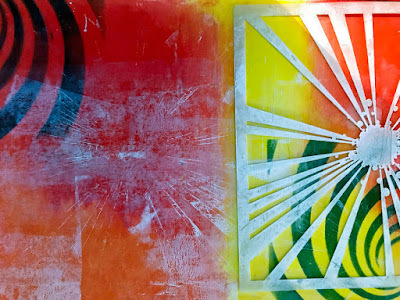 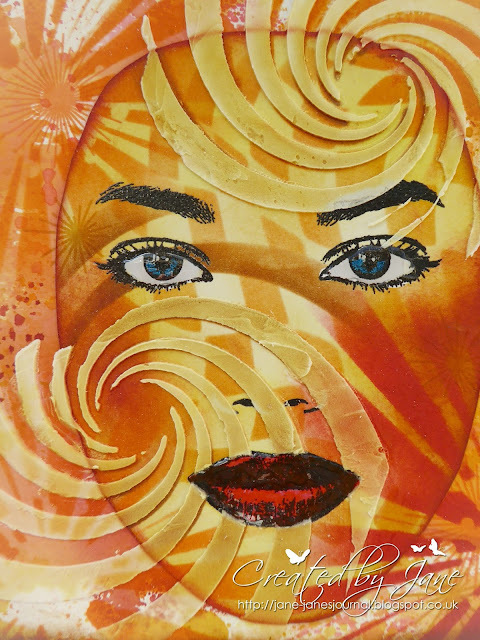 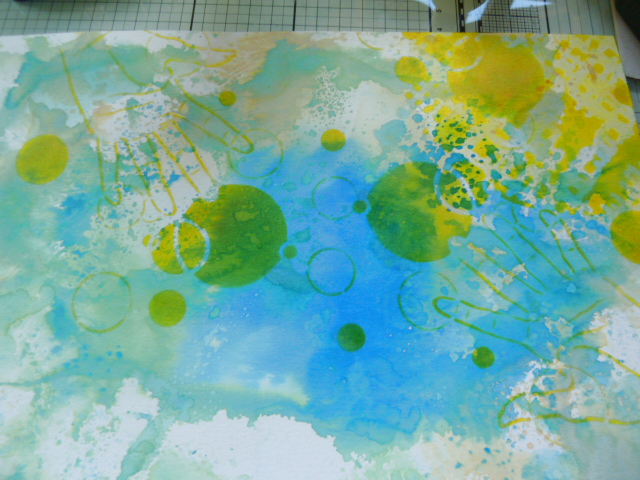 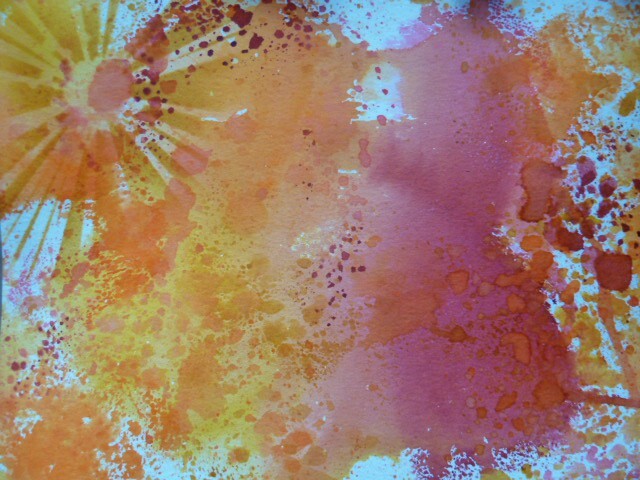 I used my Visible Image Strobe Stencil on the gel plate to add further texture and patterns on my focal point. 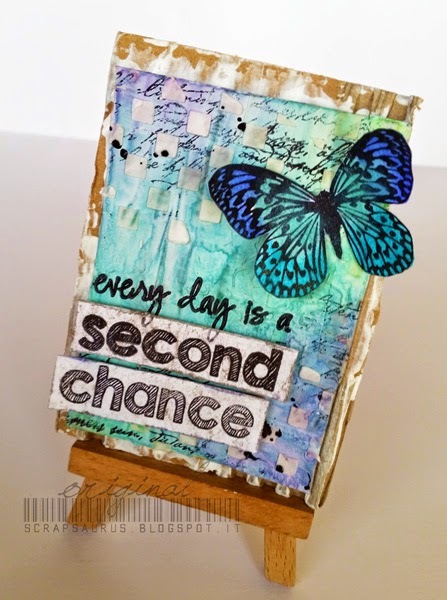 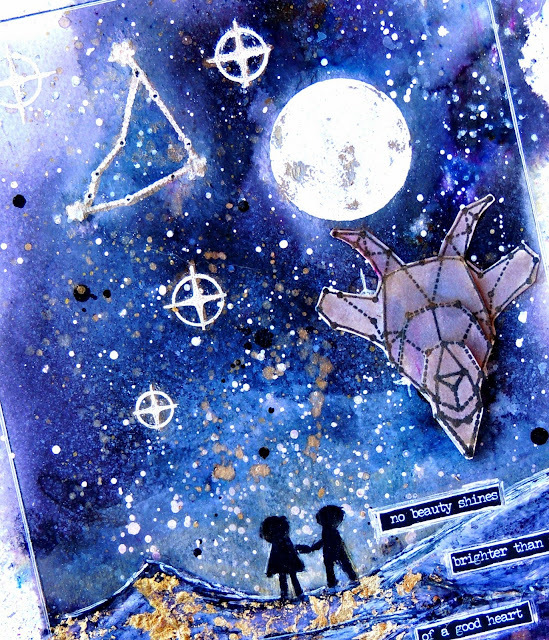 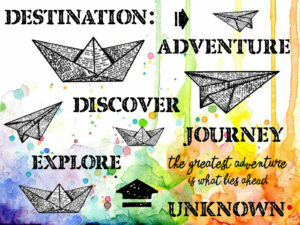 Amazing page Elisa! 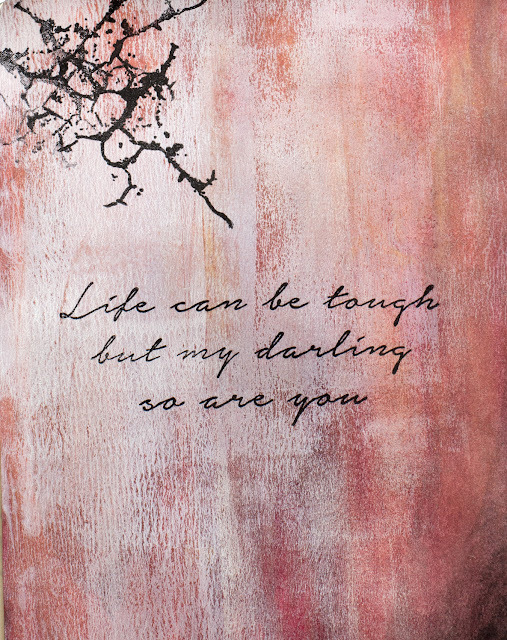 Loving your background and the awesome texture you created ♡ Thank you! 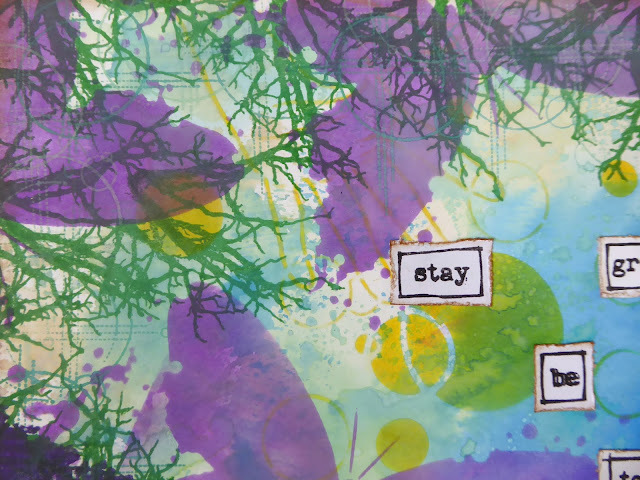 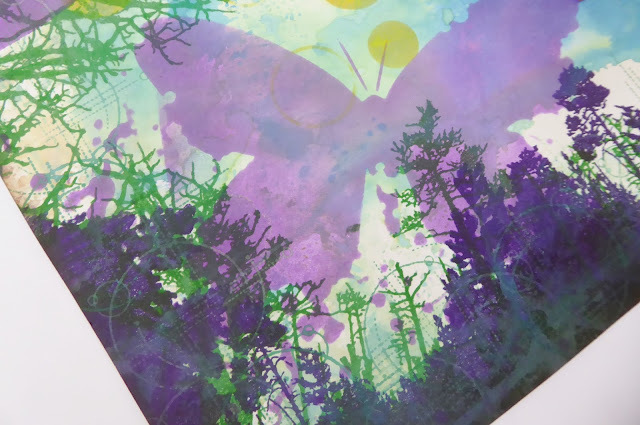 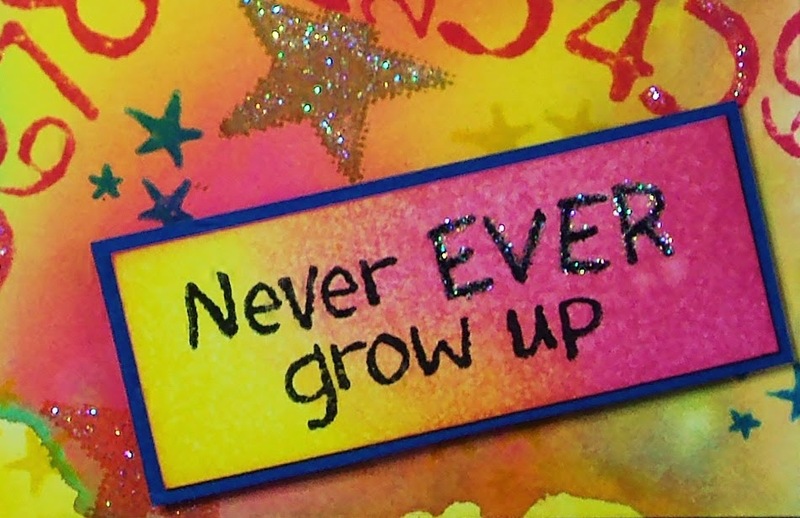 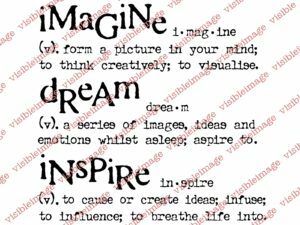 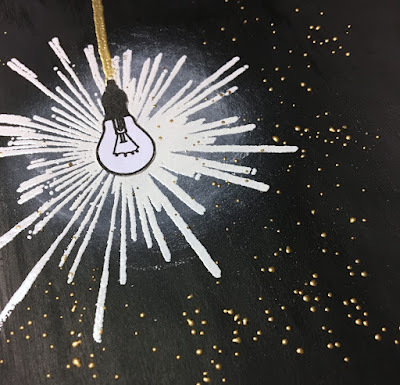 We will be back tomorrow with fantastic inspiration from Heather and Pauline, featuring some of our awesome NEW stencils! 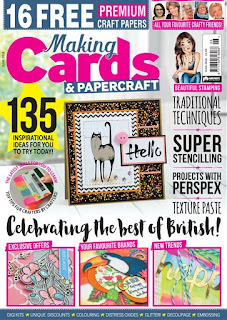 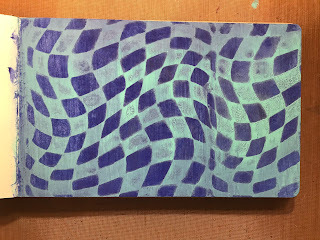 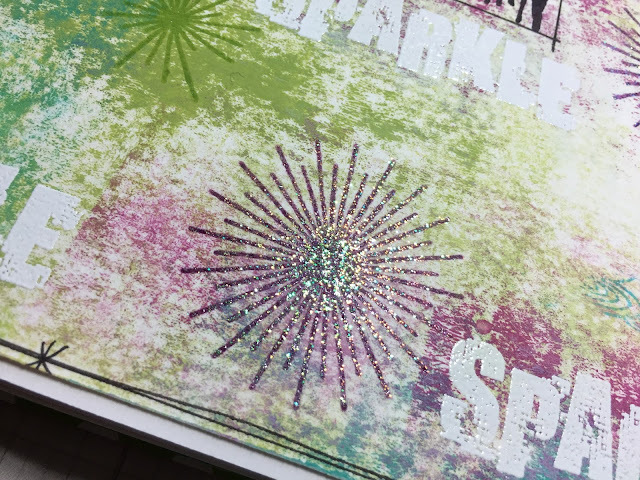 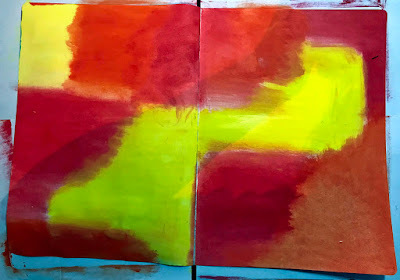 I gave the pages a coat of Gesso to start, then mixed some Tea Dye reinker with some water in a spritzer and sprayed, letting the colour run down the pages.I stamped on the inside of the envelope the stamps came in with the script stamp and punched them out. 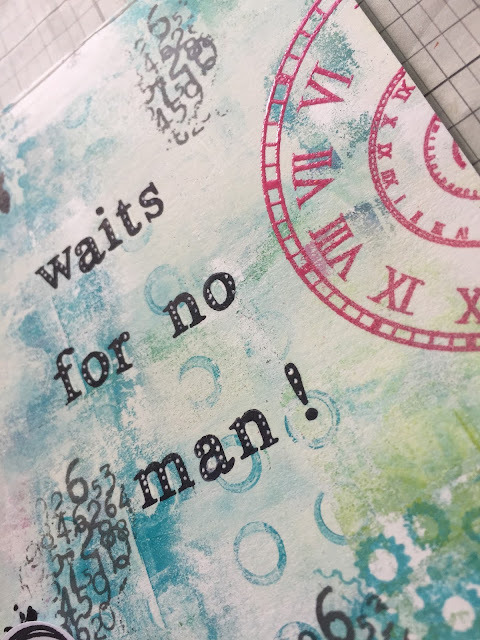 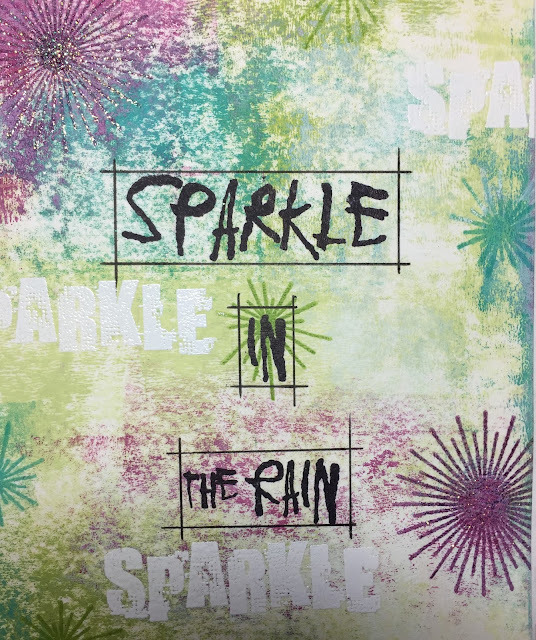 I also used the envelope to stamp the sentiments onto, added some random stamping with Tea Dye and Evergreen Bough Distress Inks, and also a little bit of stenciling. 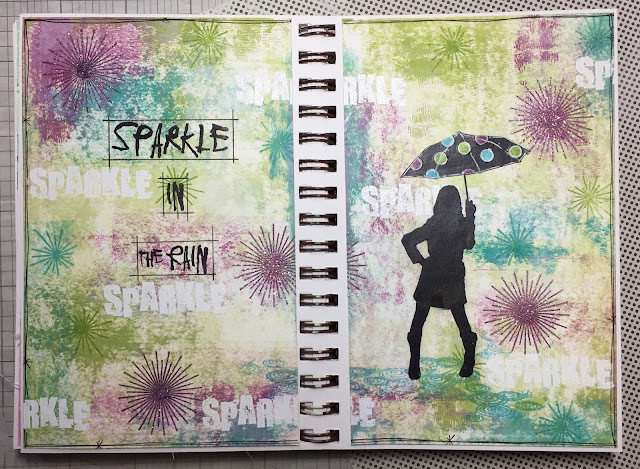 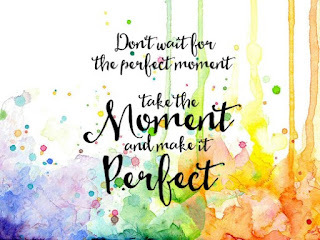 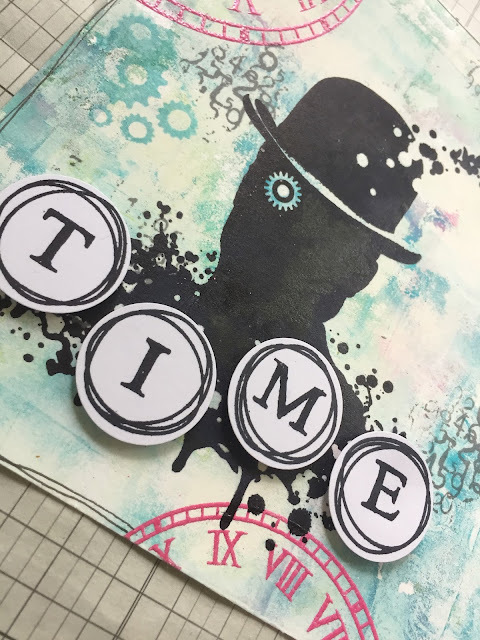 Great pages from Karen, the script circles look brilliant, loving the vintage colours. 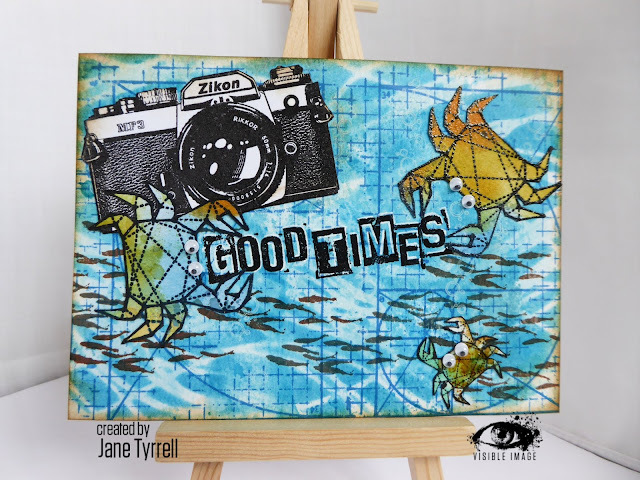 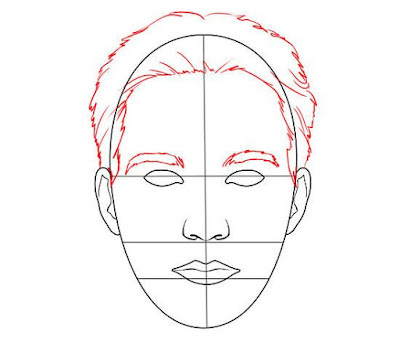 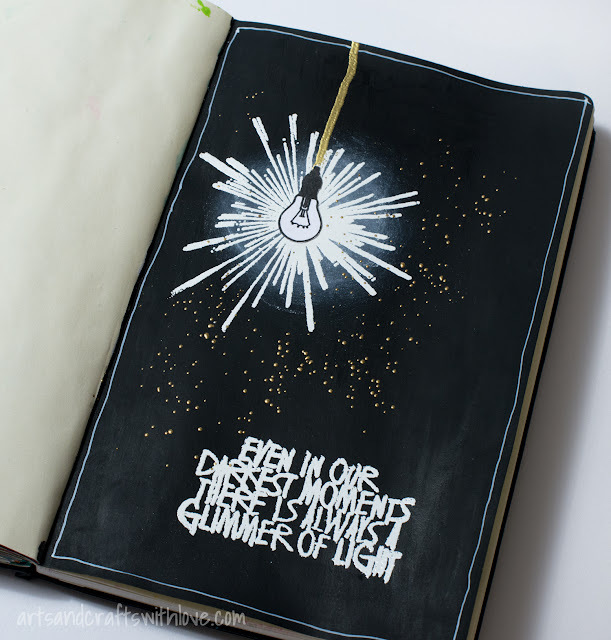 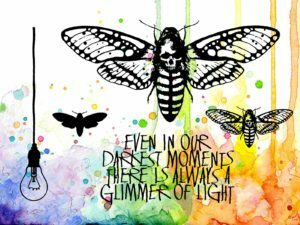 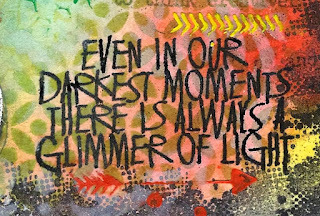 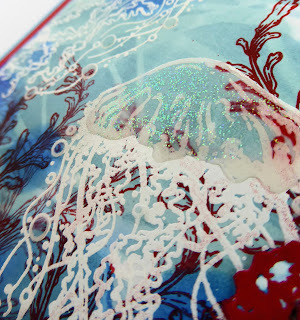 You’ll find more of Karen’s gorgeous work over on her blog.